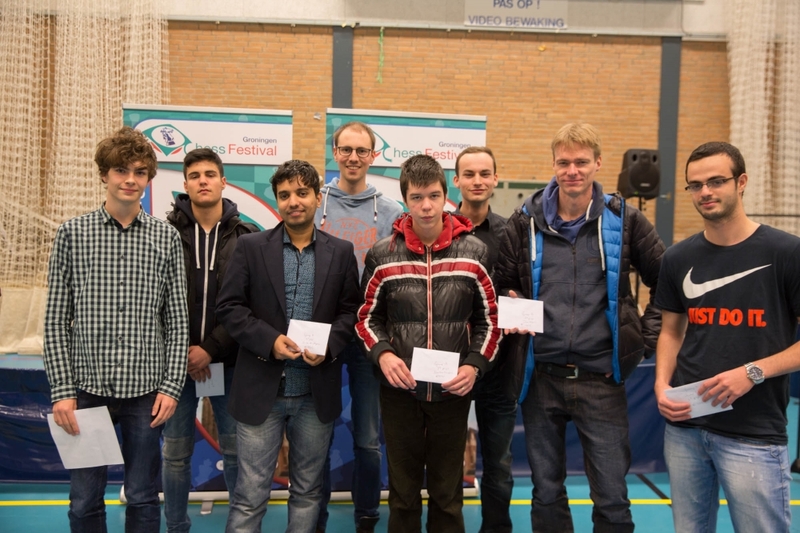 The 53rd Chess Festival Groningen brought hundreds of chess players of all levels to the city of Groningen from December 21-30, 2015. The Master event was a 9-round Swiss FIDE tournament open to all players rated above 2000 Elo. The playing venue was Sportcentrum Rijksuniversiteit & Hanzehogeschool, while the prize fund was in the amount of 6,000 EUR. 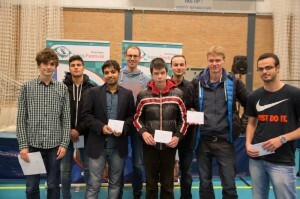 Dutch young talent IM Jorden Van Foreest and Indian GM Sundar Shyam tied for the first place at 7.5 points each but Van Foreest prevailed on a better tie-break criteria and took the gold. The third place was shared in a five-way tie by GM Avital Boruchovsky from Israel, IM Saveliy Golubov from Russia and Dutch players Barry Brink, FM Ivo Maris and IM Stefan Kuipers, after the whole group finished the event with 6.5 points. WIM Tatiana Kasparova claimed the top female prize with 4.5 points and 36th place in the final standings.